This three-step approach, based on a vertical alignment axis, offers a low-tech alternative for prosthetic alignment in developing nations, but also has applications in developed countries as a simple clinical test to identify gait deviations. In addition to the new socket technology, a simple alignment approach provides another solution for the challenges of prosthetic alignment. As a routine, the formed socket is assembled and properly aligned with an adjustable pylon and the prosthetic foot through a three-step process—bench, static and dynamic alignments—into a functional prosthesis. Figure 1. A modified plaster-less CIR Casting System used for taking light-weight impression and fabricating prosthesis for a landmine injured elephant amputee, Mosha. 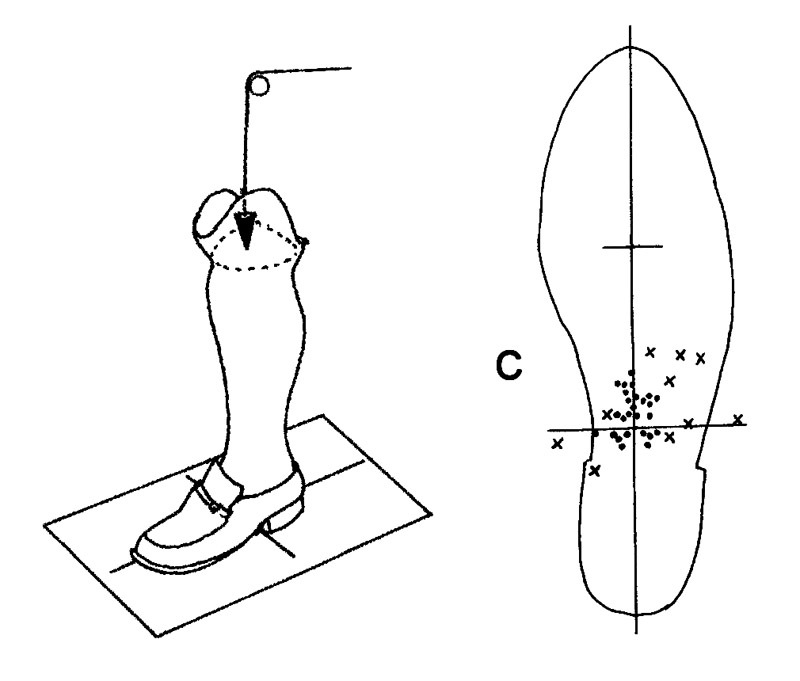 During bench alignment (Figure 2), a single-line plumb line is used to visually match two identified points, one on the socket and another on the ankle bolt and/or the center of the heel of the shoe when viewed from the side or the back of the prosthesis. This single-line plumb line approach may allow one to view from slightly varied angles, while the double-line system permits more accurate viewing only through the plane formed by the two lines. Figure 2. Traditional bench alignment of transtibial prosthesis. Following bench alignment, the prosthesis is worn by the subject for assessment of static alignment in a standing position, using an adjustable endo-skeletal pylon to correct any possible malalignment (Figure 3). 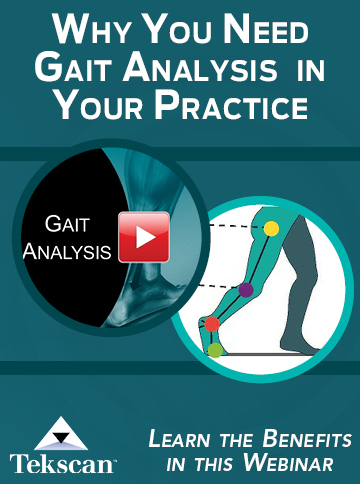 During dynamic alignment, any gait deviation (such as excessive varus or valgus moments, difficulty of roll-over, unstable knee at heel strike over mid-stance, etc) can be adjusted based on visual observation and interpretation of gait deviation by the practitioner and subjective feedback of discomfort from the user. Observation of the skin responses after the gait evaluation gives additional visual information to determine areas of excessive pressure. Figure 3. 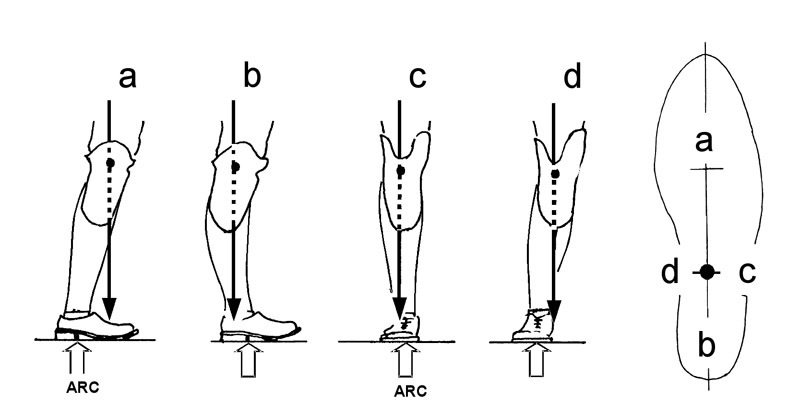 Following the bench alignment (a), static alignment allows backward leaning (b) due to excessive compression of the soft SACH heel during weight bearing. This can be corrected (c) using an adjustable endo-skeletal pylon. As described above, even though it may not be obvious to the naked eye, viewing from both the side and back of the prosthesis during bench alignment actually involves looking through two virtual vertical planes (Figure 4). 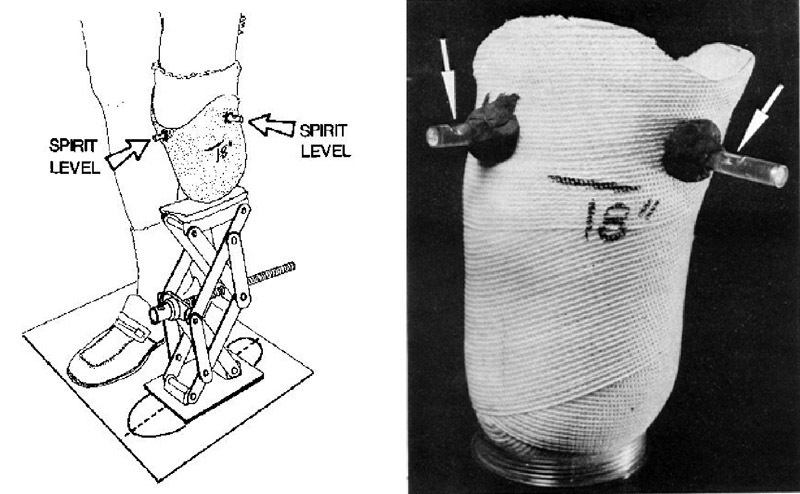 These two vertical planes intersect and form a single “vertical line”, called the vertical alignment axis (VAA), which was originally identified and utilized for alignment of Scotchcast-PVC preparatory prostheses5 in the late 1970s. 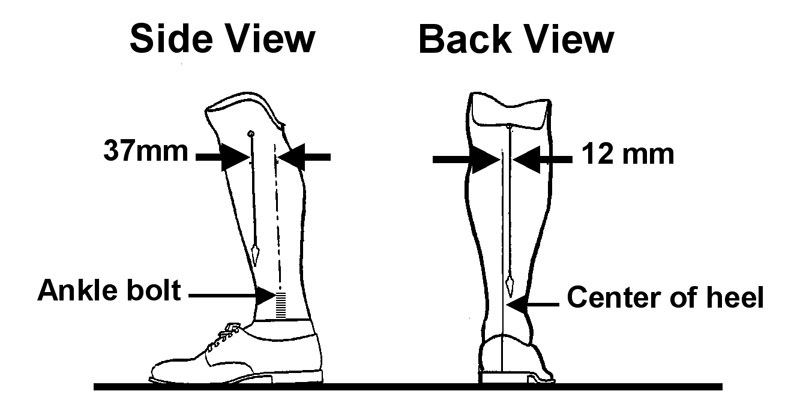 In the VAA approach, the socket center is defined as the geometric center of the cross-section of the socket at the patellar tendon bearing level (Figure 5, right) while the alignment reference center (ARC) is defined as the junction of the middle and posterior thirds on the longitudinal axis from the center of tip to the heel of the shoe tracing (Figure 5, left). In this approach, the socket axis is independent from the VAA (Figure 5, right) and is determined by the subject, who wears the formed socket while bearing maximal weight on a padded stand in a most comfortable position (Figure 6, left). 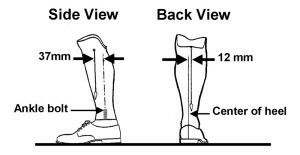 In traditional bench alignment approach, the socket is positioned 12 mm lateral to the center of the heel of the shoe when viewed from the back and 37 mm anterior to the ankle bolt when viewed from the side (Figure 2). In the alternative VAA approach, the socket center is aligned vertically over the supporting base, which is the shoe tracing (Figure 5, right). aligned prostheses (dot-marks) was slightly medial (1.3 + 8.6 mm) and anterior (6.4 + 9.6 mm) to the ARC (Figure 7c). 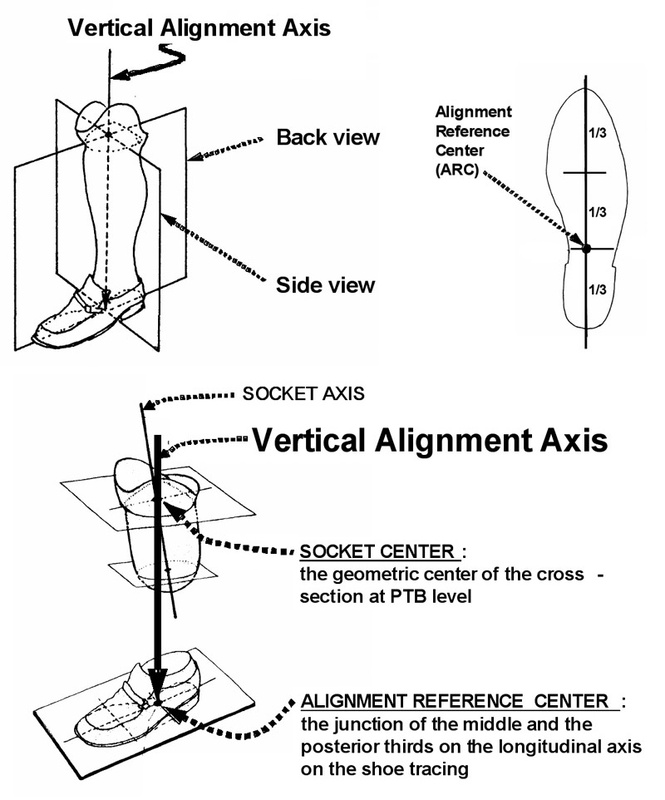 Since the averaged location of socket centers of properly-aligned prostheses projected on the shoe tracing was very close to the ARC, the ARC has been used for alignment of transtibial prostheses. Figure 7. To measure deformation of heel with application of subject’s body weight: apply force (a) until the bathroom scale (b) shows subject’s body weight, then measure the deformation (c). 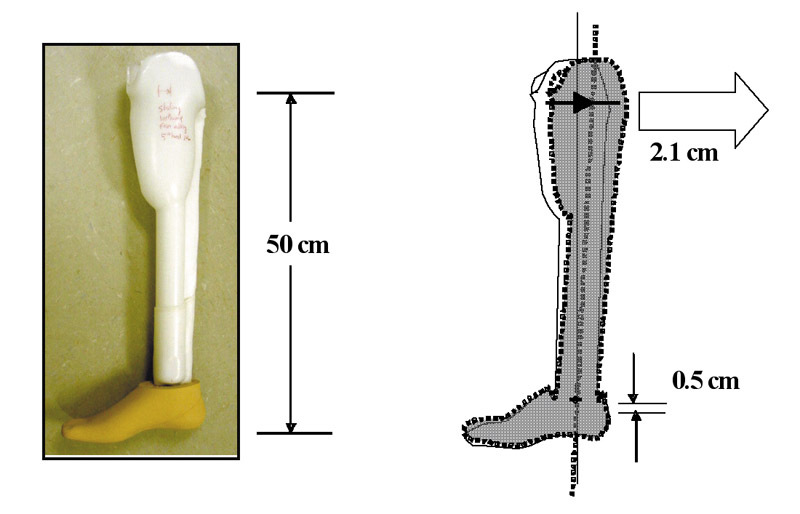 determine the compressibility of the heel on a SACH foot or foot-shoe unit (Figure 9). Various SACH feet, or foot-shoe combinations, can be compressed until the bathroom scale shows the exact body weight of the subject to be fitted. Although the variability of SACH heel can be accommodated using adjustable endo-skeletal pylon during static and dynamic alignments, it might create some difficulty for fabricating non-adjustable monolithic or exo-skeletal prosthesis (Figure 10). Figure 8. Deformation of SACH heel by 0.5 cm as a result of weight bearing can cause the socket center to shift 2.1 cm backward and result in plantar flexion. to record the flexion and line of progress. Then make a mark on the lateral wall of the socket and note the distance from the mark to the ground (Figure 6, right). A correct standing posture is critical when capturing accurate alignment data for fabricating a non-adjustable monolithic prosthesis. According to an illustration published in 1945 by A. Thomas and C.C Hadden,7 and also confirmed by advanced images technology, there is a straight line (line “a” in Figure 11, left) from the center of the femoral head, through the center of patella, down to the center of the ankle joint. Based on this information, the prosthetic ankle should be aligned on this straight line in the sagittal plane. Since the center of hip joint is not an easily-identifiable landmark, as shown in the illustration, one can trace a straight line from the normal ankle via the patella to and above the expected center of the right hip joint (Line “a” in Figure 11, left). Identify a similar straight line on the amputated side that has a similar distance between the line and the anterior superior iliac spine (ASIS; line “b” in Figure 11, left). Lastly, use a long rubber band to form a straight line from the spot medial to the ASIS on the amputated side to the center of the patella (Line “c” in figure 11, left). Draw a straight line on the thigh to indicate the direction toward the center of the prosthetic ankle (Line “d” in Figure 11, left). Note that this technique might not be accurate in the case of varus or valgus deformities of the knee. Another approach to locate the rotating center of the limb will be necessary. Figure 9. 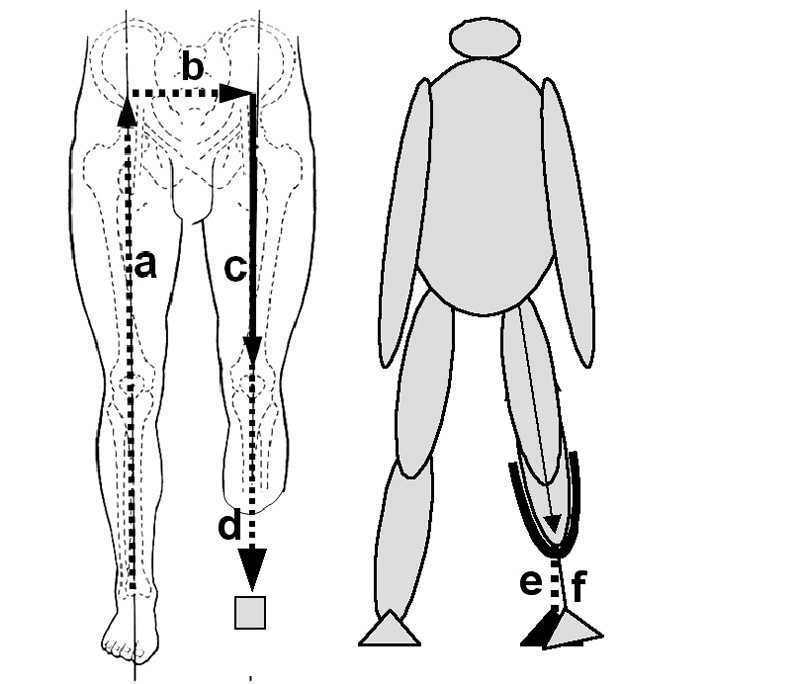 Considerations when capturing alignment data: Line bisecting amputated limb (c) and continuing down to prosthetic ankle (d) should be the same distance (b) from the ASIS at hip level as the line bisecting the unaffected limb (a). Knee abduction can result in foot placement medial (e) to placement with correct alignment (f). 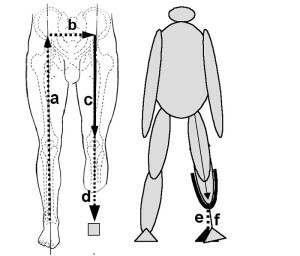 When capturing the alignment data, have the subject wear the socket and stand on a padded automobile jack (Figure 11, right), and shift their weight from side to side until the reference line on the thigh is in a vertical position (Line “c” in Figure 11, left). 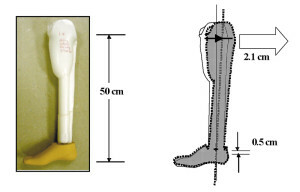 If the knees are abducted (Figure 11, middle), the socket will be in an abducted position, and the prosthesis might be mistakenly aligned with the foot medially placed (“e” in Figure 11, middle) instead of being correctly aligned (“f” in Figure 11, middle). e) Join the socket to the pylon-foot-shoe unit to complete the alignment process and fabricate the monolithic limb. Although correct alignment is crucial for a functional prosthesis, multiple studies have shown that there is a wide range of acceptable alignments that can be very comfortable.6,8,9 Another study, comparing the acceptable prosthesis alignment ranges of six transtibial amputees during level and non-level walking, showed that the acceptable alignment range for non-level walking consistently fell within and was significantly smaller than that for level walking.10 In other words, better approximation of optimum alignment would lead to improved “non-level” walking. Does better approximation of optimum alignment mean narrowing of the acceptable alignment ranges so that it is right on the ARC—or close to the ARC, as in the aforementioned study in which proper alignment was found to be slightly medial and anterior to the ARC (Figure 7, c) ? With the introduction of wearable sensor devices, such as Compas or iPecs, for measuring socket reaction forces, a perfect prosthetic alignment might soon be achievable in practice in developed countries. At this time, however, when these powerful tools are not yet available in most developing countries, the single-line plumb line and the VAA approach may be the best tools one has to make prosthetic alignment better than acceptable. Therefore, in a clinical setting, if there is any doubt about gait deviation, the practitioner can try the VAA approach to see if readjustment of alignment will improve prosthetic function (Figure 13). c) Finally, compare the socket center to the ARC (Figure 7b). Gait deviations might be related to shifting of the projection of socket center away from the ARC (Figure 13). Figure 11. 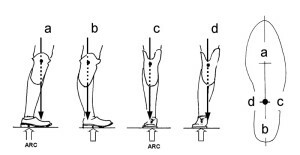 Gait deviations and projections of socket centers on the shoe tracing: (a) excessive dorsiflexion, (b) excessive dorsiflexion, (c) increased varus moment, and (d) increased valgus moment. With the VAA alignment approach, one can explain easily why gait deviations occur when the heel height is increased (causing the socket center to move forward or dorsiflexion) or decreased (causing the socket center to move backward or plantar flexion) after the original shoe is replaced. As illustrated in the VAA Alignment Model (Figure 5), there are three distinct features in this alignment approach. The socket center is aligned through the vertical alignment axis to the alignment reference center (ARC) on the shoe tracing rather than the ankle bolt or the heel of the shoe. The socket axis is independent from the vertical alignment axis and is determined by the subject while wearing the socket and bearing full weight on a padded stand. And the SACH foot, an important component with variable characteristics, can be rotated freely about the vertical alignment axis without affecting the alignment. Yeongchi Wu, MD, is an associate professor in the department of physical medicine and rehabilitation at Northwestern University’s Feinberg School of Medicine in Chicago. Portion of the contents of this publication were developed under a grant from the U.S. Department of Education, National Institute on Disability and Rehabilitation Research grant number H133E030017. However, those contents do not necessarily represent the policy of the Department of Education, and you should not assume endorsement by the Federal Government. 1. Wu Y, Casanova HR, Reisinger KD, et al. CIR Casting System for making transtibial sockets. Prosthet Orthot Int 2009;33(1):1-9. 2. Thanh NH, Poetsma PA, Jensen JS. Preliminary experiences with the CIR casting system for transtibial prosthetic sockets. Prosthet Orthot Int 2009;33(2):130-134. 3. Motala the Thai elephant. 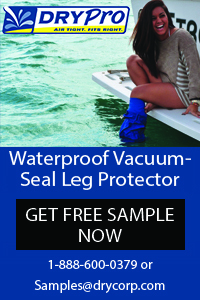 Available at: http://animom.tripod.com/motala.html. Accessed November 5, 2009. 4. Mosha the elephant gets prosthetic leg. Available at: http://www.telegraph.co.uk/earth/wildlife/4966620/Mosha-the-elephant-gets-prosthetic-leg.html. Accessed November 6, 2009. 5. Wu Y, Brncick MD, Krick HJ, et al. Scotchcast-P.V.C. 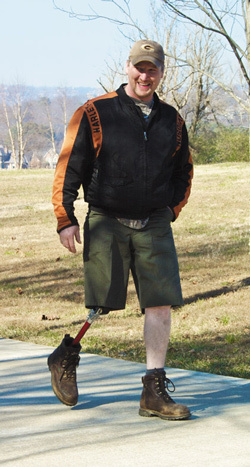 interim prosthesis for below knee amputees. Bull Prosth Res 1981;10-36:40-45. 6. Lin MC, Wu Y, Edwards M. Vertical alignment axis for transtibial prostheses: A simplified alignment method. J. Formos Med Assoc 2000;99(1):39-44. 7. Thomas A, Hadden CC. Amputation Prosthesis. Philadelphia: J.B. Lippincott; 1945. 8. Zahedi MS, Spence WD, Solomonidis SE, Paul JP. Alignment of lower-limb prostheses. J Rehabil Res Dev 1986;23(2):2-19. 9. Lord M, Smith DM. Foot loading in amputee stance, Prosthet Orthot Int 1984;8(3):159-164. 10. Sin SW, Chow DH, Cheng JC. Significance of non-level walking on transtibial prosthesis fitting with particular reference to the effects of anterior-posterior alignment. J Rehabil Res Dev 2001;38(1):1-6. Figure 1 – A modified plaster-less CIR Casting system used for taking light-weight impression and fabricating prosthesis for a landmine injured elephant amputee, Mosha. Figure 2 – traditional bench alignment of transtibial prosthesis. 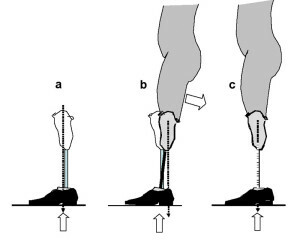 Figure 3 – following the bench alignment (a), static alignment allows backward leaning (b) due to excessive compression of the soft SACH heel from weight bearing can be corrected (c). Figure 4 – two viewing planes intersect to form a single vertical line, called vertical alignment axis (VAA). 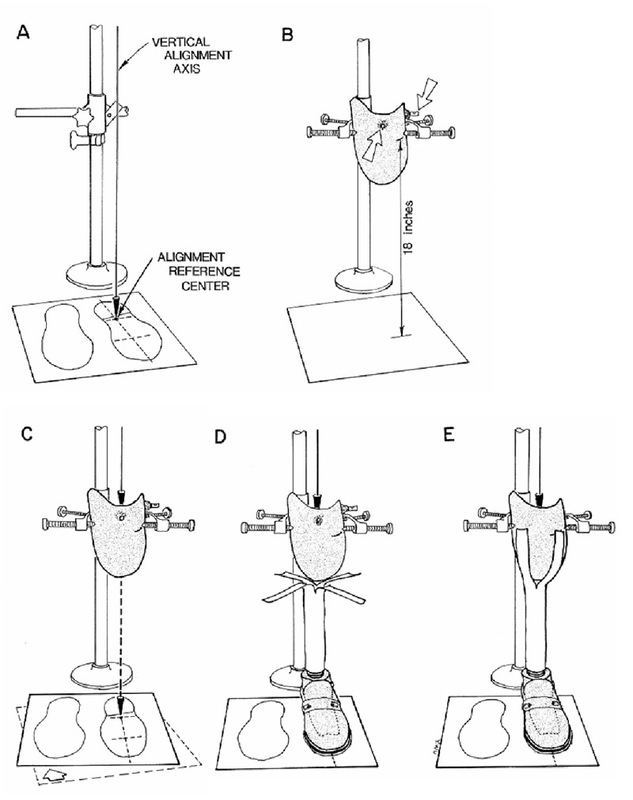 Figure 5 – in the VAA Alignment Model, the socket center is aligned to the alignment reference center (ARC) on the shoe tracing using a single plumb line as the vertical alignment axis (VAA). (Modified from the original figure published in the Bulletin of Prosthetic Research 5). Figure 6 – determine the most comfortable socket position by the subject (left) and capture the information of flexion. M-L tilting and height of the socket for use in alignment (right). 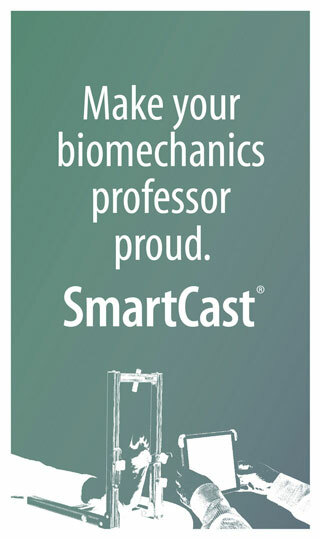 (Reprinted from Bulletin of Prosthetics Research 5). 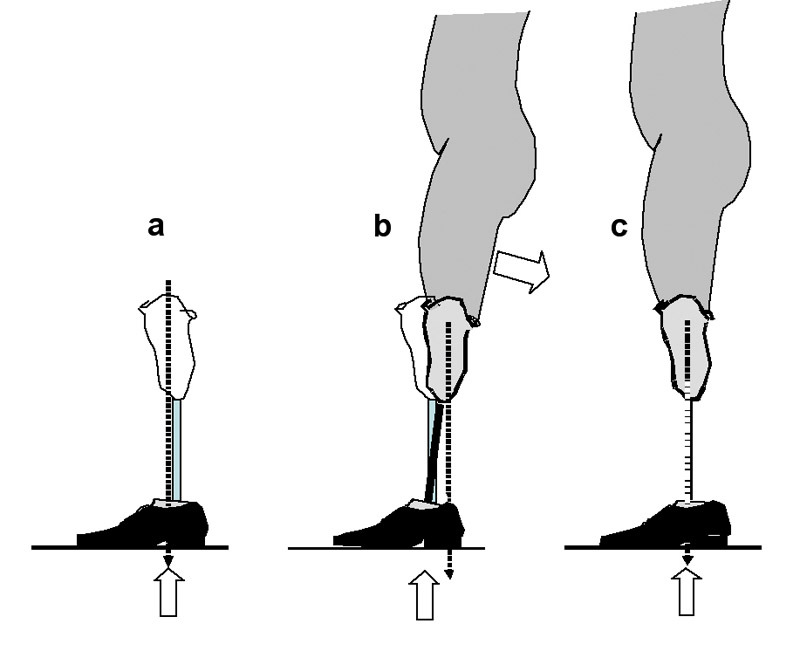 Figure 8 – bearing weight on soft heels resulting plantarflexion and instability (b or c). Figure 9 – measuring the deformation of heel with application of subject’s body weight: apply force (a) until the bathroom scale (b) shows the subject’s body weight, then measure the deformation (c). Figure 10 – deformation of SACH heel by 0.5cm from weight bearing can cause the socket center to shift 2.1cm backward and result in plantarflexion. Figure 11 – considerations when capturing alignment data. 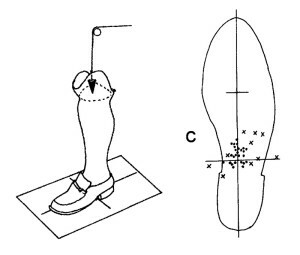 Figure 13 – gait deviations and projections of socket centers on the shoe tracing: a) excessive dorsiflexion, b) excessive dorsiflexion, c) increased varus moment, and, d) increased valgus moment. One comment In response to the iPecs – Lab not being available for sale outside of the US at the time of this artcile is true but as of December 2010 the College Park iPecs – Lab is now fully compliant with all CE, safety, EMI, and FCC requirements for international sale. If there is interest in renting or purchasing this device please check into College Parks website under products and iPecs. Hi, I am a client at the Hanger Prosthetics. I’m BKA. I have had such a problem with getting a correct alignment for my prosthetic and I am trying to find what the solutions have been in the past for some problems. At the beginning of the process the socket pushed up on my kneecap, the pylon was positioned outward and to far behind the bone, with the foot angled inward with the toe pointed way down needing to go beyond adjustment. It looked like a broken Z and I was amazed when the prosthesis said ‘Looks good’ and was ready to wrap it up. When I told him the pylon needed to be moved more under me, forward and outside, he said ‘well we don’t do that, we follow a standard…’. I had to speak with the head Tech or manager, he gave a sigh and a doubtful look but did approve. The move made a extreme difference and felt soooo much better. I am wondering what is the standard starting point for the pylon to socket? Also I have been dealing with ‘The Hanger’ or with this prosthesis tech for a while now and I have told the story to a few people and they tell me to go somewhere else, and I agree, but if I go somewhere new they might just have the same standard and I would just be back at the starting point again. Is there a standard percentage of area that the pylon to bone should be attached to the socket? good to have the simple alignment of lower limb . but transtibial amputee are mostly common and experinced in developing some complication due to wrong alignment so to have correct alignment from the first prosthesis is so important but nt easy fo with the different concepts of where the weight line passes .